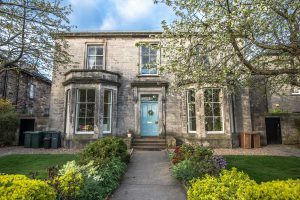 We are based in a large detached villa in the middle of Bruntsfield Terrace overlooking Brunstfield Links. We are registered for 55 children. The nursery has a large garden with different areas such as sand box, raised planters, willow tunnel, mud kitchen, etc. You can reach our nursery by catching buses 11,16, 45 and 23 to Bruntsfield Place. We opened in February 2014.